We’re kicking off 2017 with an announcement that should please everyone using our 3D printers: we’ve updated our Grey Resin with a matte, opaque finish that offers the highest surface detail of any Formlabs material to date. No matter what you’re printing, you want your final parts to be precise and beautiful. The value of aesthetically pleasing material is a given for artistic fields like modelmaking, and even for practical applications, detail matters. We’ve worked hard to develop materials that are not only highly functional enough for the most demanding applications, but also visually appealing. Read on for more information on how to use this material and how we developed it, or jump ahead to the store and try it for yourself! Dragon model designed by Jesse Sandifer. 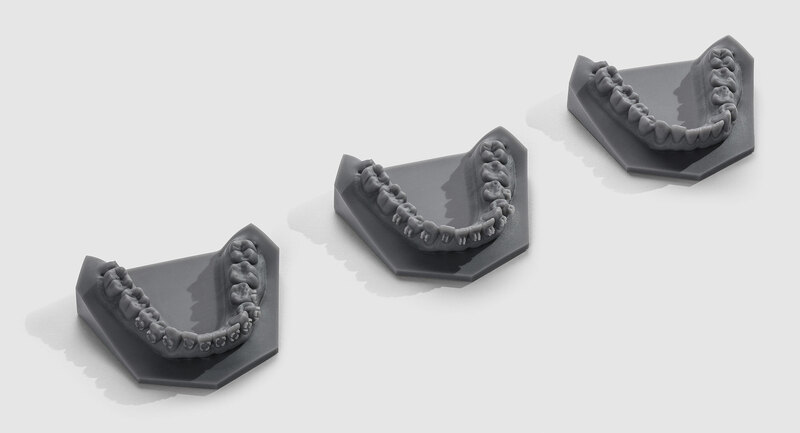 Grey Resin v3 offers a crisp look that’s perfect for printing intricate designs, whether you’re an artist printing digital sculptures or a dentist modeling a patient’s teeth. In addition to beautiful surface finish and high detail, the new Grey is one of the most precise Formlabs resins, second only to our Dental SG material. 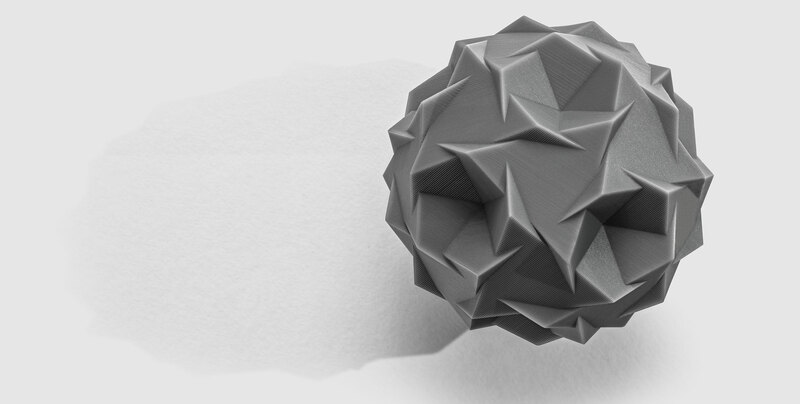 With its high precision and contrast, Grey v3 makes for beautiful and detailed dental models. Compared to the previous formulation, updated Grey Resin is darker, more matte, and more opaque. It makes for elegant, enticing parts without sanding, polishing, or priming (although these are still necessary if you plan to paint parts, and may be useful for making certain parts even more attractive). Layer lines are less visible, even on 100 micron prints, and thinner features won’t print transparent. Grey v3 prints with minimally visible layer lines, and can be sanded for an even smoother finish. Model designed by George Hart. For the best results with Formlabs Grey Resin, the liquid resin should be shaken in the cartridge before printing, and the printed part should be put through the standard two isopropyl alcohol (IPA) baths after printing. The cleaner the IPA bath, the more matte the final part will be. What should you do after you remove your part from the printer? Read about best practices for finishing your prints. It’s always exciting to release completely new materials, like the library of Engineering Resins that we added in October. But we’re also committed to making sure that our existing materials continue to evolve as our in-house materials team experiments with new additives and formulations. Matte resins have strong visual appeal&mdash;we’ve seen this in injection molded plastics and other 3D printed parts. We’re always dedicated to improving our surface finish, so focusing on turning our most high contrast, visually appealing resin, Grey, into a matte resin was a natural next step for evolving our library of materials. We encountered a few surprises along the way as we developed Grey v3. We opted for a darker shade than in the previous formulation to improve contrast and keep opacity high. We also found ourselves debating just how matte to make this new material. If the material is too matte, it looks like a blackboard; if it’s not matte enough, it’s too shiny. We experimented with different levels of matte to strike what we think is a beautiful balance. Want to see the new Grey Resin in person? We'll mail you a free sample part.